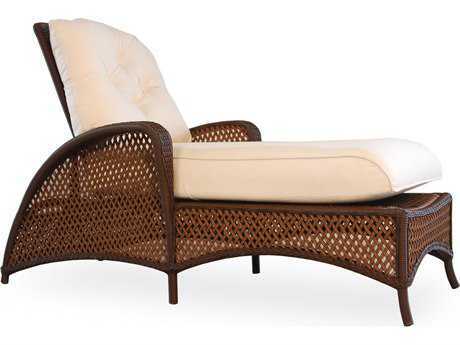 Wicker is used as a broad term to describe anything woven from natural fibers such as grasses or even wood. 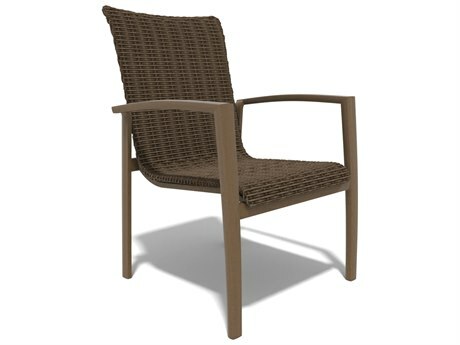 Since true wicker is woven from natural biodegradable materials like rattan, it’s never been a robust outdoor material. 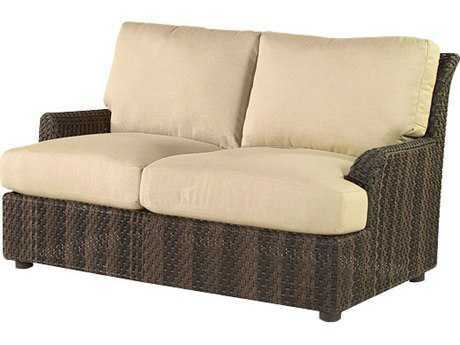 However, with the advancement of natural-looking synthetics, that’s all changing. 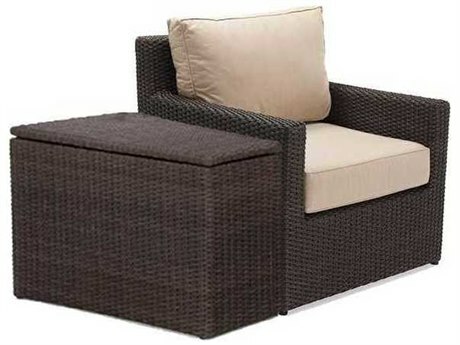 Almost all the wicker patio furniture you will find for sale on the market today is woven from synthetics like resin or vinyl, giving you the look of natural wicker with added strength and durability. 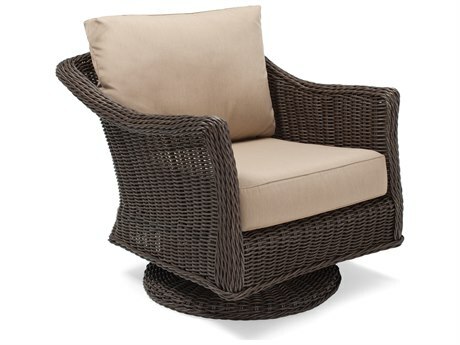 We call it, all-weather wicker. 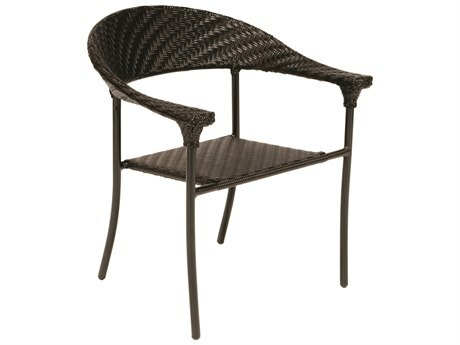 The way synthetic outdoor wicker patio furniture is made contributes to its long-lasting nature. 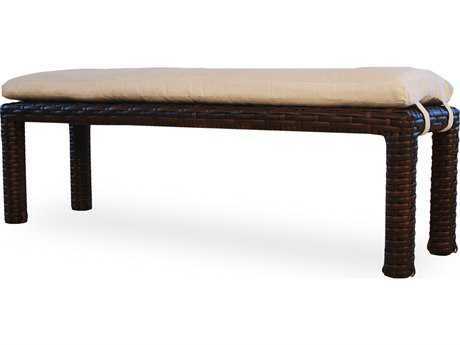 Dyes are mixed right into the resin to ensure the color runs all the way through the materials. 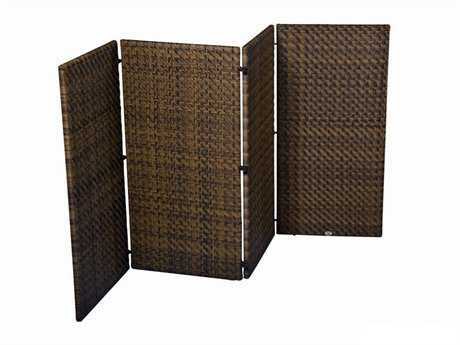 Then the synthetic materials are cut into very thin strips, and then woven into a variety of patterns. 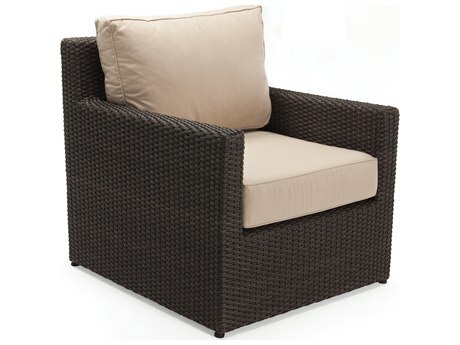 The synthetic woven wicker is then wrapped over a metal frame. 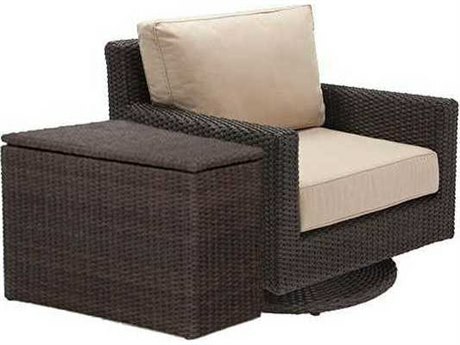 The wicker patio furniture for sale from most manufacturers use aluminum frames to prevent rust or corrosion. 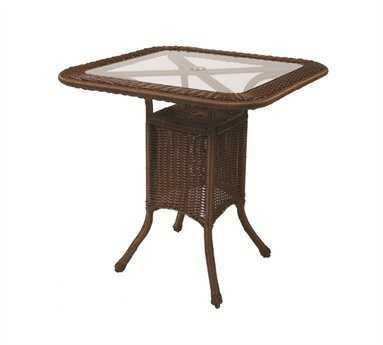 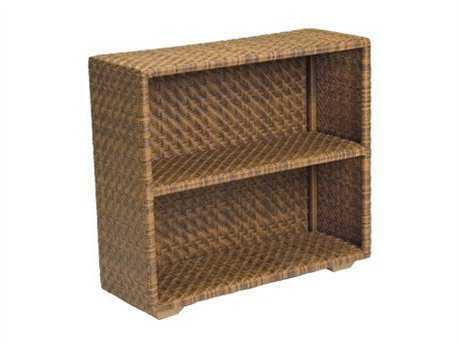 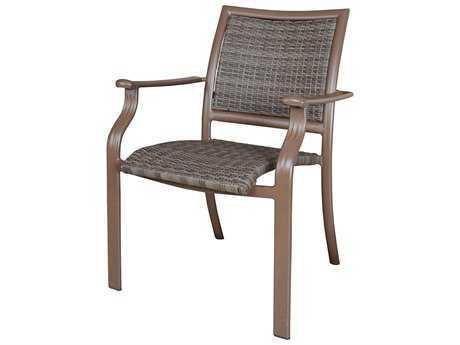 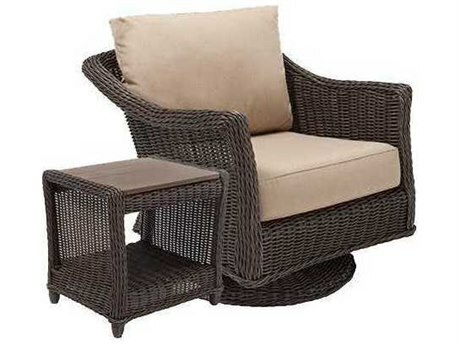 Patio furniture sets constructed from wicker are extremely low maintenance. 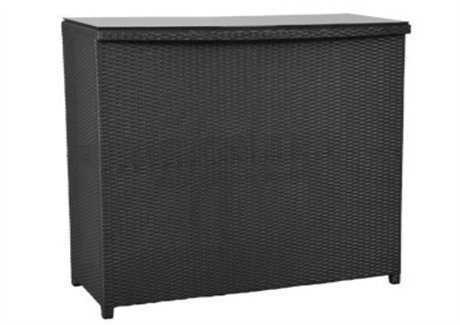 Because vinyl wicker products have been coated and sealed for outdoor use, they’re extremely water-resistant. 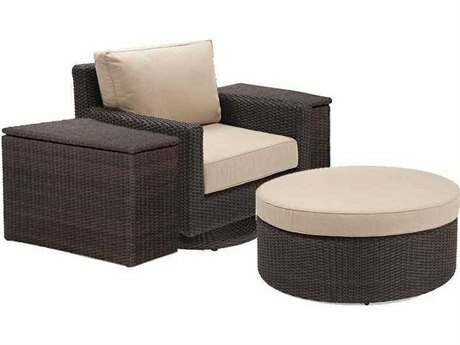 This makes cleaning your resin wicker patio furniture set a breeze and lets you set up your wicker patio set poolside sans anxiety. 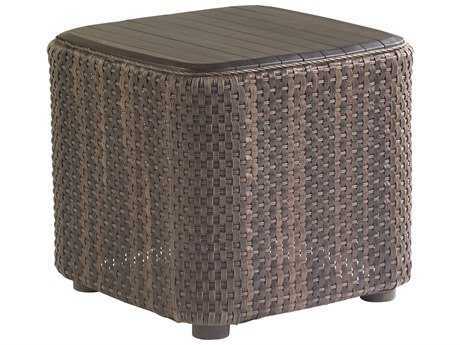 Vinyl wicker is not merely coated on the exterior. 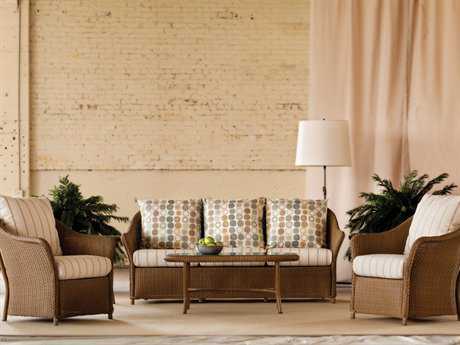 The color runs all the way through the furniture. 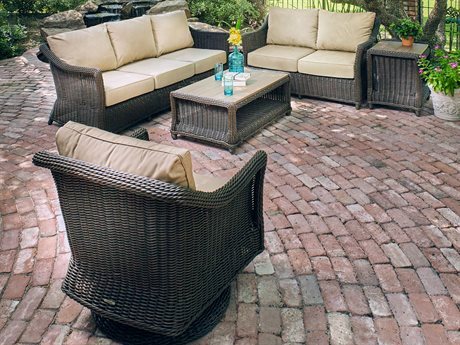 Because the color runs through the entire product, scratches and scuffs become less noticeable, and your outdoor wicker chairs and tables will be more resistant to fading. 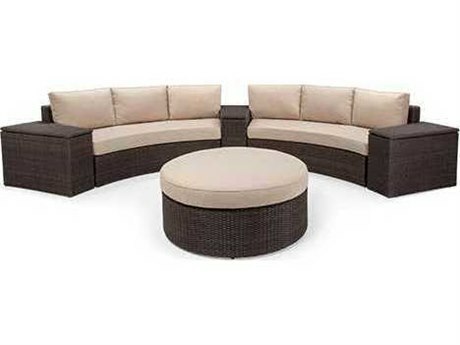 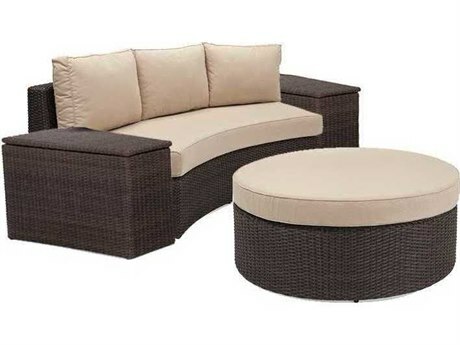 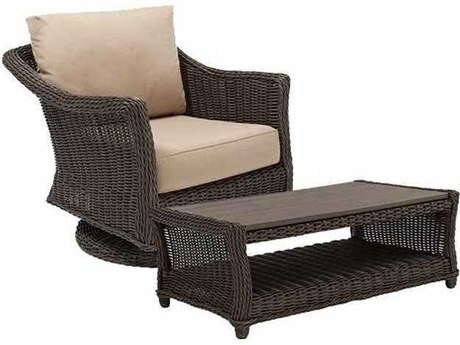 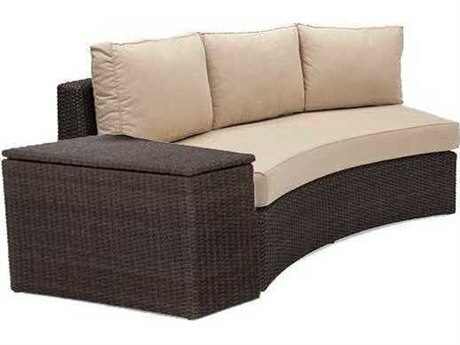 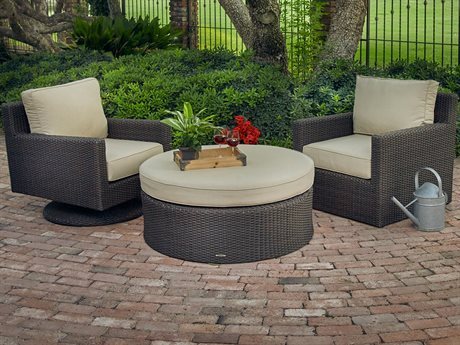 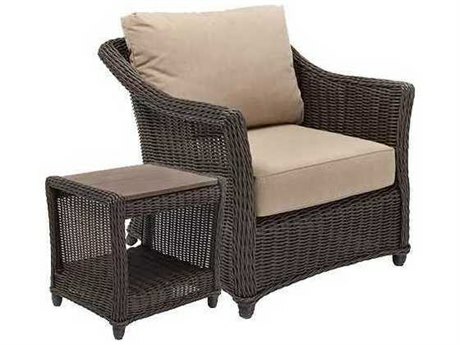 The wicker patio furniture for sale on PatioLiving’s site comes in a wide selection of colors from white wicker outdoor furniture to black wicker outdoor furniture and everything in between. 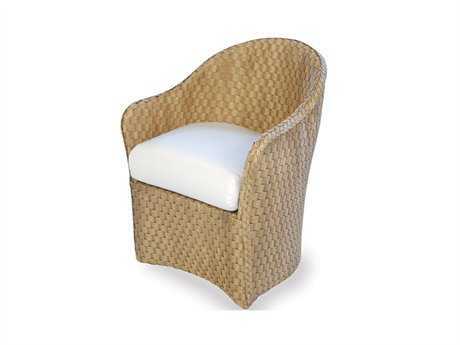 White resin wicker patio furniture instantly refreshes a space and gives your patio a bright and fresh look. 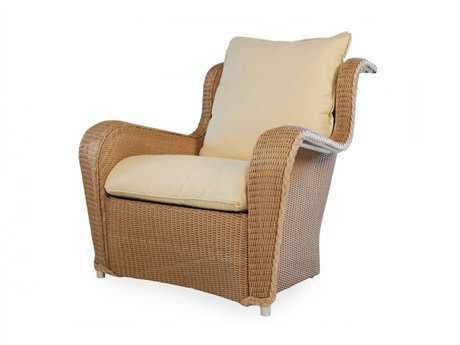 If white wicker patio furniture is not for you there are many other colorful finish options to choose from for your wicker patio chairs. 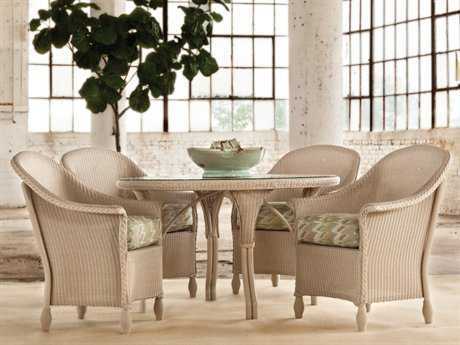 If you’re looking for an entire outdoor dining set, we carry patio dining sets that come with a patio table and weather resistant outdoor dining chairs to match. 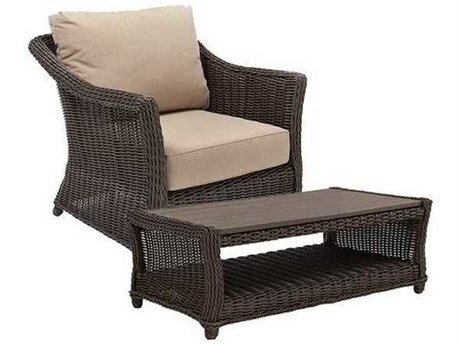 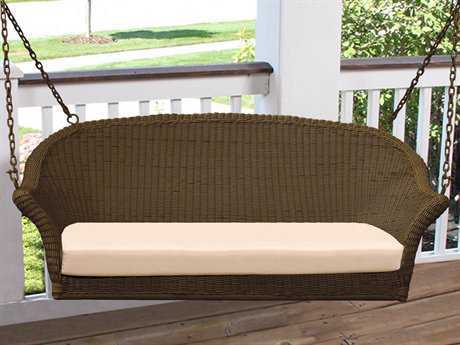 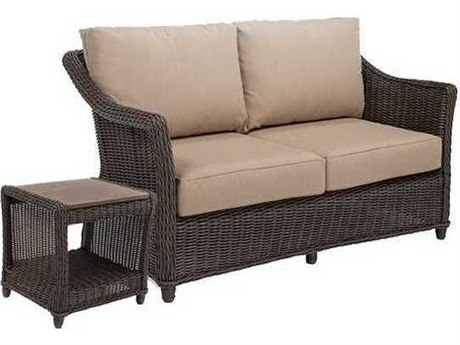 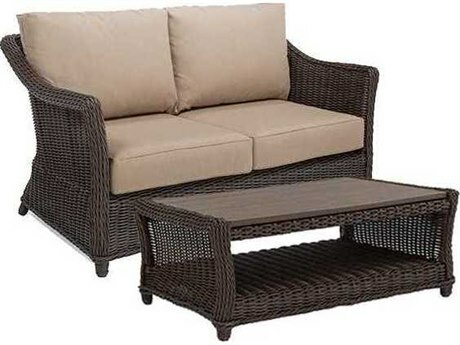 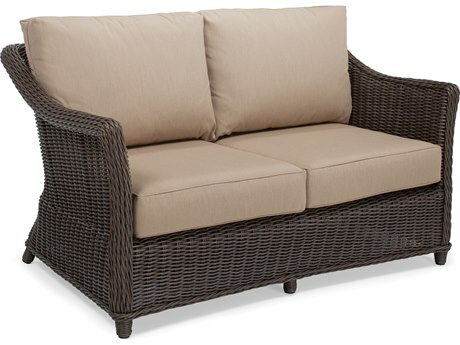 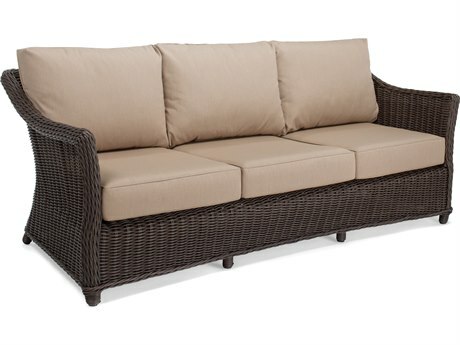 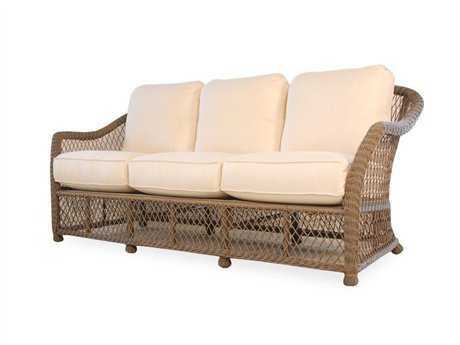 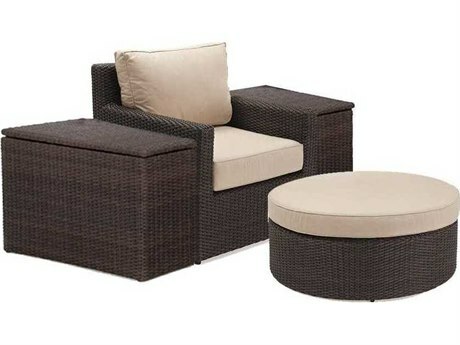 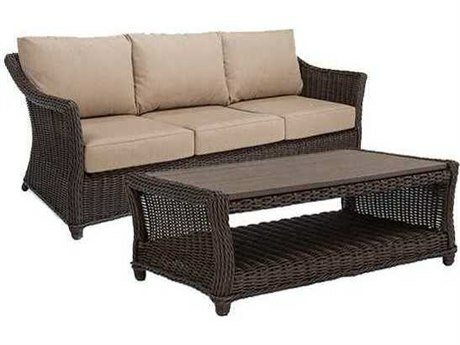 PatioLiving also carries wicker lounge sets. 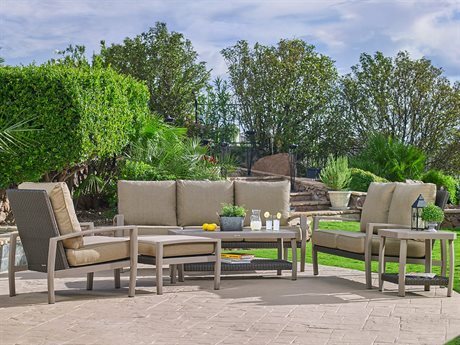 These sets come in a variety of sizes and styles from a three-piece patio set or a four-piece patio set all the way up to a six-seat patio set and more. 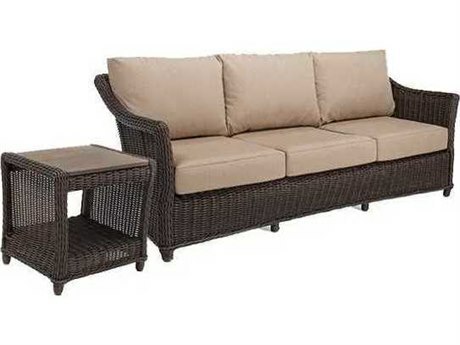 These sets typically are anchored around a patio loveseat or a patio sectional. 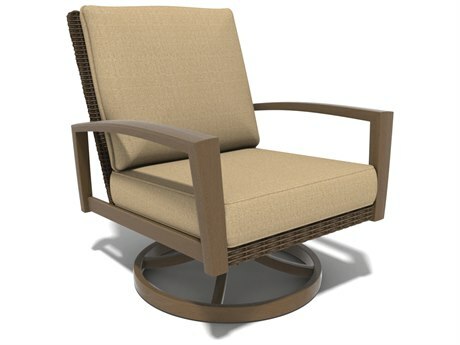 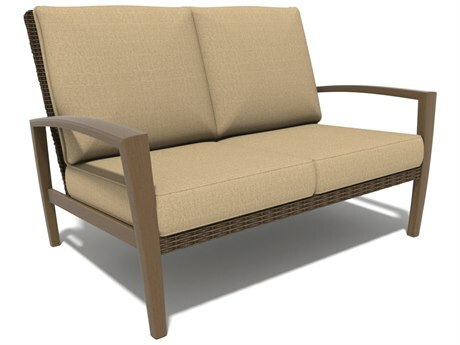 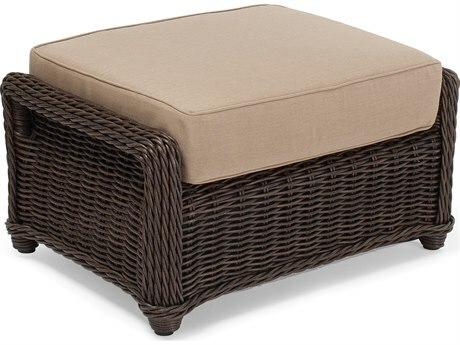 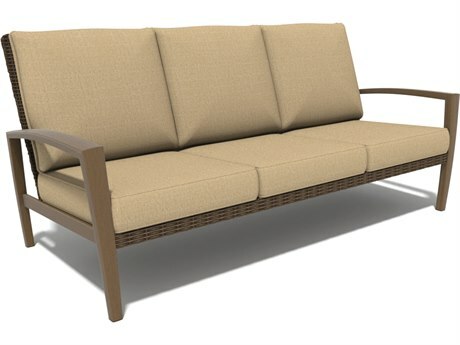 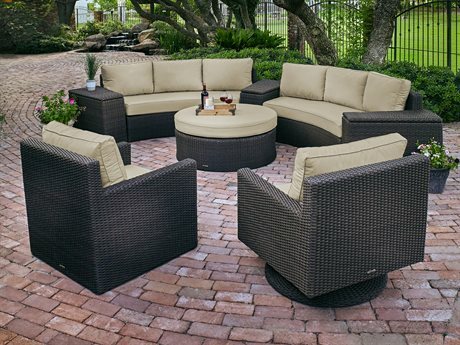 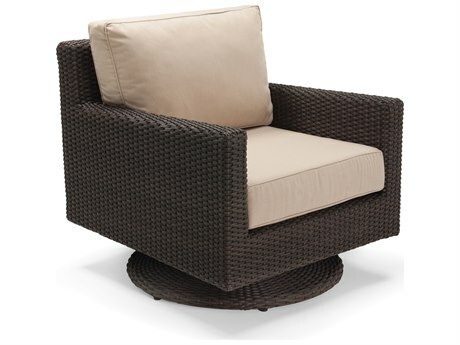 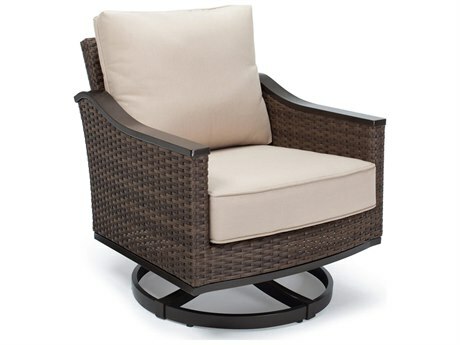 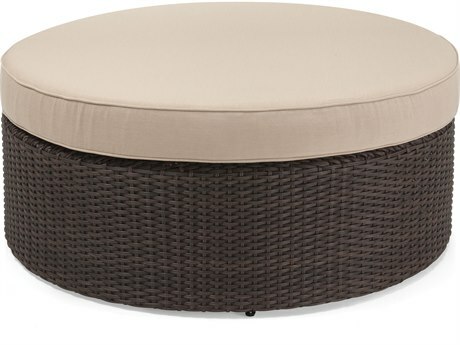 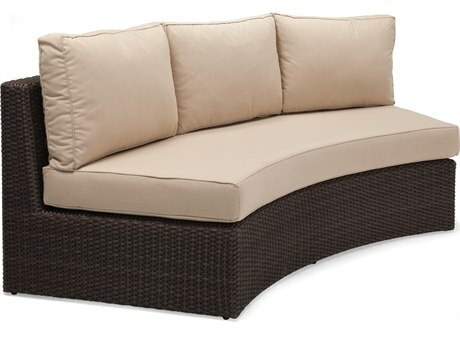 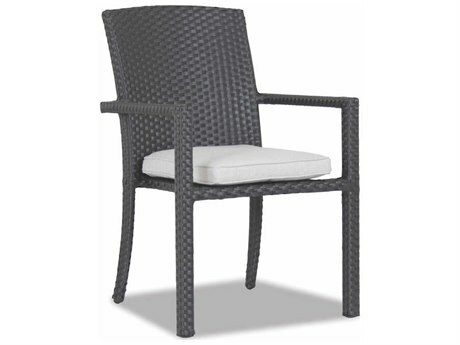 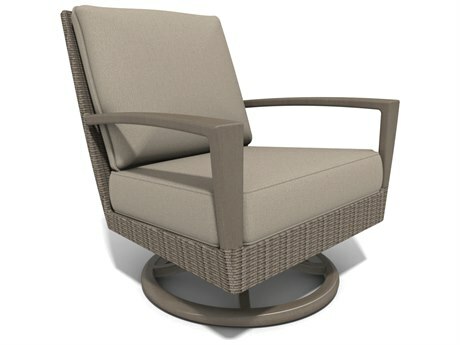 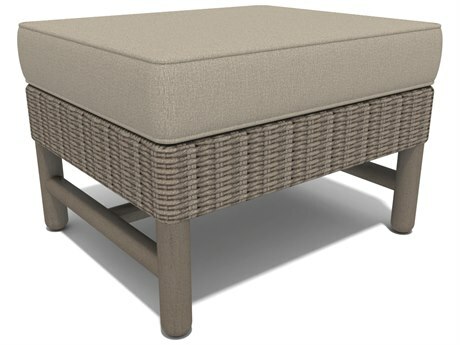 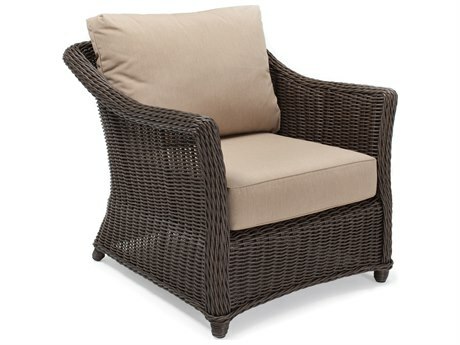 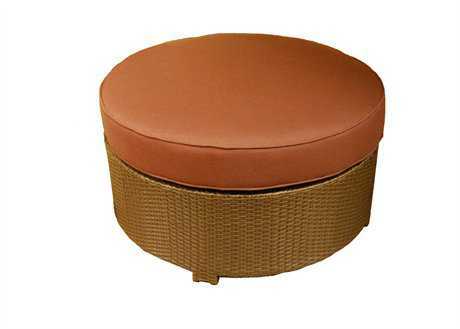 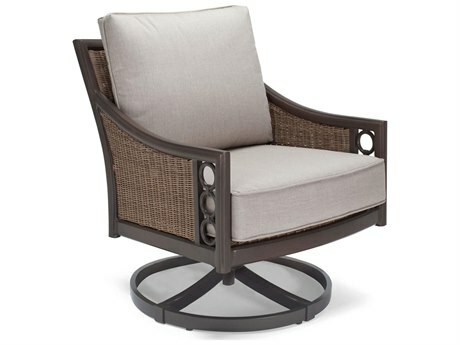 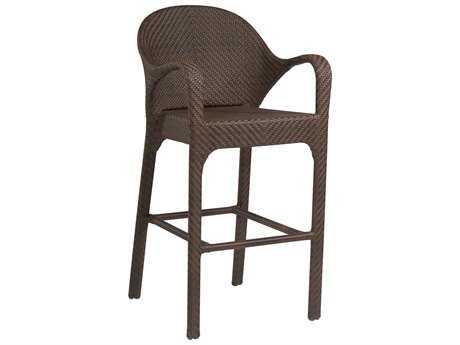 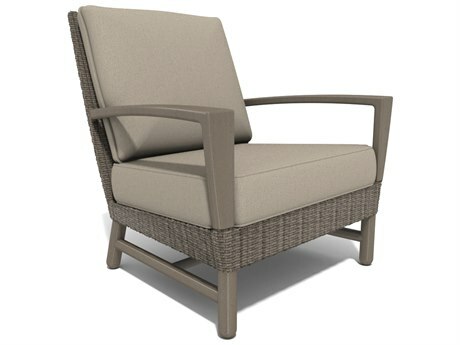 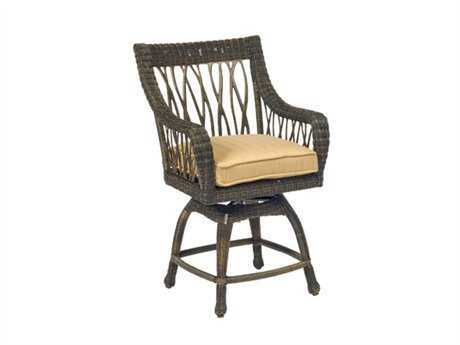 For individual wicker style patio furniture pieces, PatioLiving carries patio chairs, chaise lounges, dining chairs, outdoor wicker bar stools, counter stools, outdoor wicker loveseat styles, benches, outdoor daybed styles, outdoor couch styles, swings, outdoor rocking chairs, and outdoor ottoman styles. 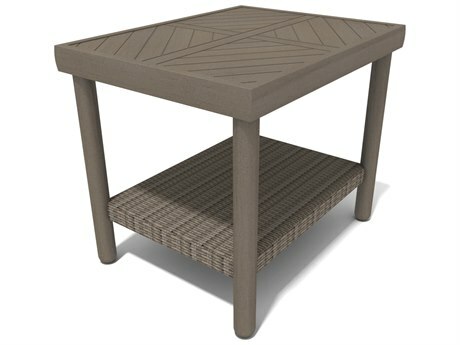 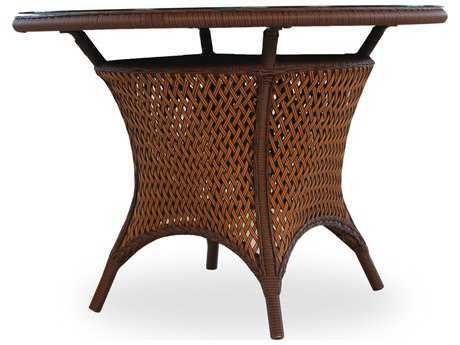 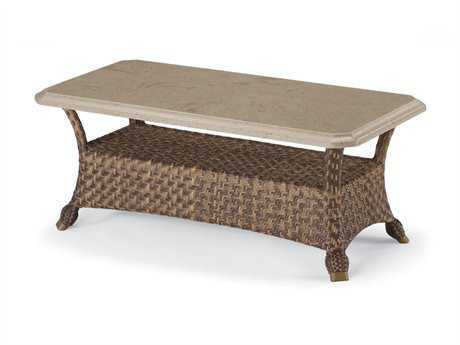 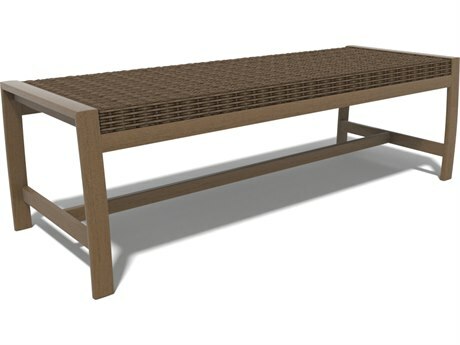 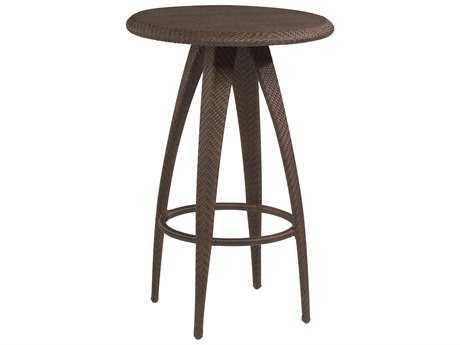 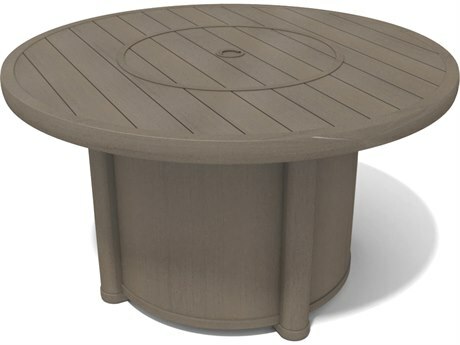 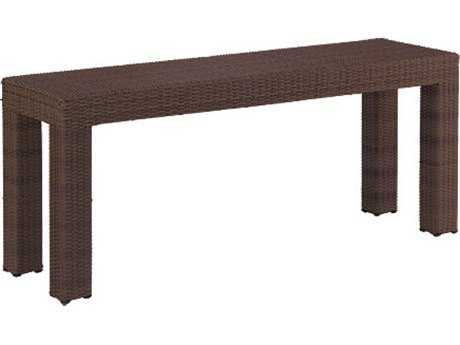 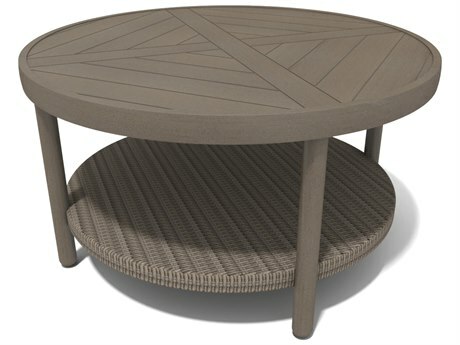 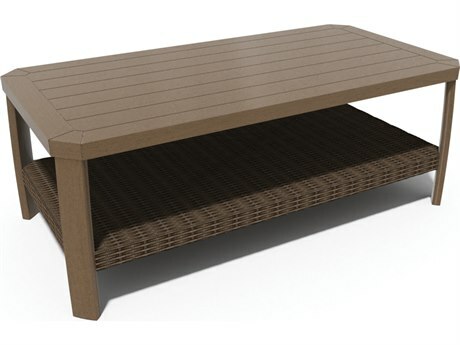 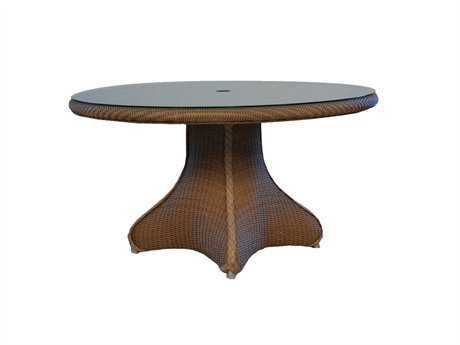 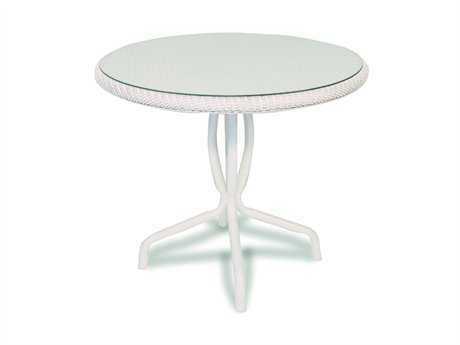 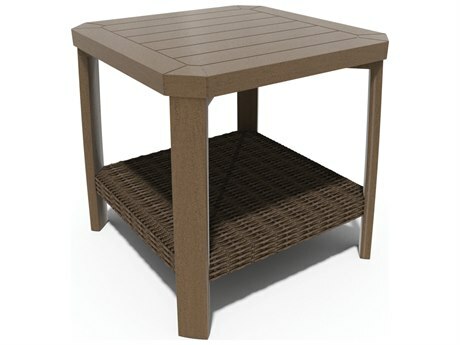 If you’re looking for wicker patio tables, PatioLiving carries bar tables, counter tables, bistro tables, dining tables, chat tables, coffee tables, end tables, and console tables. 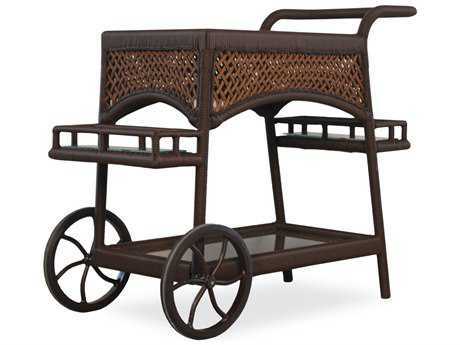 For your patio accessory needs, PatioLiving also carries wicker bars, serving carts, outdoor screens, and storage racks. 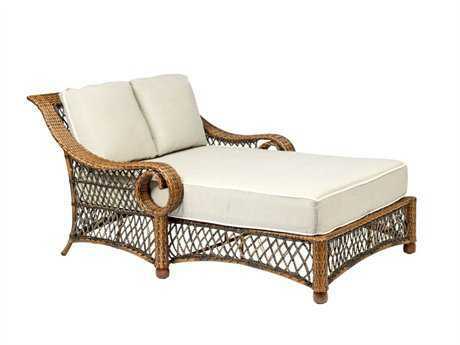 Browse our collection of wicker patio furniture for sale today. 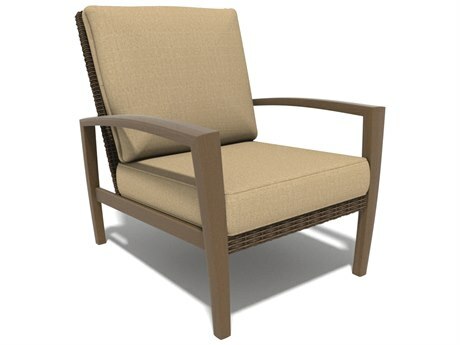 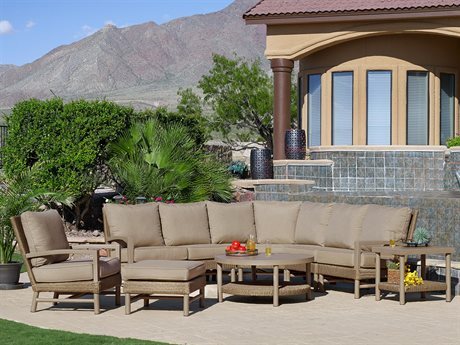 And make sure to refer to PatioLiving’s Outdoor Materials Buying Guide for more information about outdoor wicker furniture and other materials.